A Jewish factory worker is falsely accused of ritually murdering a Christian boy in Russia in 1911, and his trial becomes an international cause célèbre. On March 20, 1911, thirteen-year-old Andrei Yushchinsky was found stabbed to death in a cave on the outskirts of Kiev. Four months later, Russian police arrested Mendel Beilis, a thirty-seven-year-old father of five who worked as a clerk in a brick factory nearby, and charged him not only with Andrei’s murder but also with the Jewish ritual murder of a Christian child. Despite the fact that there was no evidence linking him to the crime, that he had a solid alibi, and that his main accuser was a professional criminal who was herself under suspicion for the murder, Beilis was imprisoned for more than two years before being brought to trial. 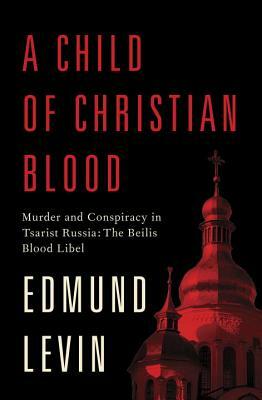 As a handful of Russian officials and journalists diligently searched for the real killer, the rabid anti-Semites known as the Black Hundreds whipped into a frenzy men and women throughout the Russian Empire who firmly believed that this was only the latest example of centuries of Jewish ritual murder of Christian children—the age-old blood libel. With the full backing of Tsar Nicholas II’s teetering government, the prosecution called an array of “expert witnesses”—pathologists, a theologian, a psychological profiler—whose laughably incompetent testimony horrified liberal Russians and brought to Beilis’s side an array of international supporters who included Thomas Mann, H. G. Wells, Anatole France, Arthur Conan Doyle, the archbishop of Canterbury, and Jane Addams. The jury’s split verdict allowed both sides to claim victory: they agreed with the prosecution’s description of the wounds on the boy’s body—a description that was worded to imply a ritual murder—but they determined that Beilis was not the murderer. After the fall of the Romanovs in 1917, a renewed effort to find Andrei’s killer was not successful; in recent years his grave has become a pilgrimage site for those convinced that the boy was murdered by a Jew so that his blood could be used in making Passover matzo. Visitors today will find it covered with flowers. Edmund Levin is a Writers Guild and Emmy award–winning writer/producer for Good Morning America. His writing has appeared in The New York Times, The Washington Post, The Wall Street Journal, The New Republic, The Atlantic, and Slate, among other publications, and was included in The Best of Slate: A 10th Anniversary Anthology.